California, Portugal, and the Azores. In California, naturalized in alkaline wetlands and moist sandy or rocky alkaline to saline sites along the coast. Randall, R. (2012). A Global Compendium of Weeds. 2nd Edition..
Jr, R. E. Riefner, & Nesom G. L. (2009). Plecostachys serpyllifolia (Asteraceae) naturalized in California. Phytologia. 91, 542–565. Portugal and the Azores are similar to California. Also naturalized in eight California counties. In California, naturalized in alkaline wetlands and moist sandy or rocky alkaline to saline sites along the coast. One grower in California decided to stop production because the plant was seen escaping into natural areas from gardens. San Marcos Growers (0). San Marcos Growers. Listed as naturalized in Portugal and the Azores (but not necessarily invasive). Not aggressive in its native South Africa or in Portugal. However, in California it has been recorded displacing native plants in coastal southern California, including several species listed as rare by CNPS. Information sent to Cal-IPC watchlist said that the Navy has been eradicating the plant on their base at Point Mugu, but the growing population keeps reseeding the base, and is now spreading into areas of salt grass and Salt Marsh Bird's Beak. Not aggressive in its native South Africa or in Portugal. However, in California it has been recorded displacing native plants in coastal southern California, including several species listed as rare by CNPS. Information sent to Cal-IPC watchlist said that the Navy has been eradicating the plant on their base at Point Mugu, but the growing population keeps reseeding the base, and is now spreading into areas of salt grass and Salt Marsh Bird's Beak. No other species of Plecostachys listed in Global Compendium of Weeds. 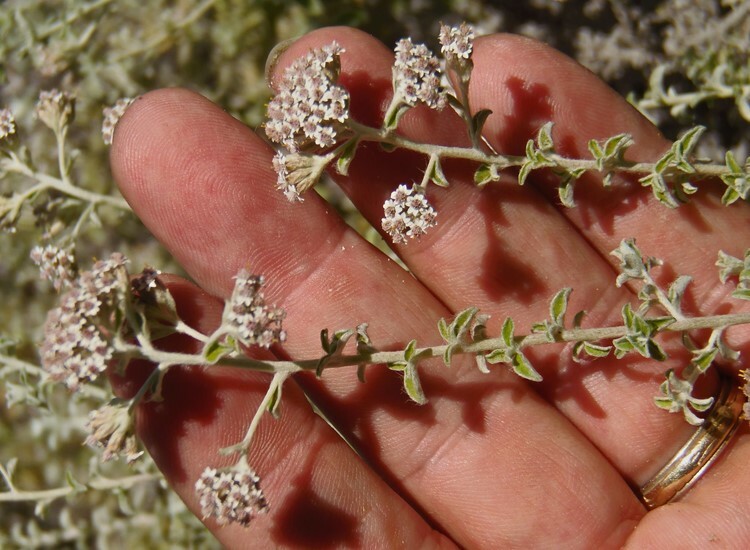 However, synonym genus Helichrysum contains Helichrysum petiolare (licorice plant), which is invasive in California. Cal-IPC (0). California Invasive Plant Inventory. [Anonymous] (0). DAISIE (Delivering Alien Invasive Species Inventories for Europe). South African National Biodiversity Institute (2012). Plantz Africa. No mention of this. In native range it requires seasonally damp conditions although it is adapted to summer drought. In California, naturalizes in moist habitats (edge of wetlands) and is a facultative wetland plant. Dave's Garden says all parts of plant are toxic. Handling plant may cause skin irritation or allergic reaction. Plant has spines or sharp edges. Dave's Garden (2015). Dave's Garden. It is a shrub that grows 1m tall. Described as a small to medium, straggling shrub. Also described as a dense, low-growing shrub that can spread into non-irrigated areas. Not sure if it qualifies as impenetrable. Considered a sprawling perennial shrub or ground cover but I could not find specific information on reproduction. Because it's a shrub, vegetative reproduction seems unlikely. Seems unlikely given that it's a shrub. Seeds are described as being easy to grow. Jepson Flora Project (2014). Jepson eFlora. Has a tendency to seed a lot in a garden and escape. Based on that, I'm assuming that it must be able to germinate pretty easily. March to May in native South Africa. Flowers Feb - June in California so I am extrapolating that to count as more than three months of seed production. Couldn't find information on dispersal in its native range or naturalized range. It doesn't seem to have obvious adaptations for animal dispersal so I am answering no. Couldn't find specific information on dispersal in its native range or naturalized range. The seed has a pappus of approximately 20 bristles which could make it adapted for wind dispersal. Answering yes based on this but with medium confidence. Couldn't find information on dispersal in its native range or naturalized range. Answering no because it does not seem to have obvious adaptations for this type of dispersal. Not listed in ARS GRIN database under the name or the synonym. Nothing listed in Web of Science. Tried to find information from its native range on biology in the wild but had no luck. FYI from Cark Cowan at Channel Islands National Park species found at Santa Rosa Island and possibly Santa Cruz Island: "When I first reported it at a Botanic Garden meeting (2008?) with Steve Junak we thought it was Helichrysum petiolare. The latest find that Sangeet made at Skunk point was Plecostachys serpyllifolia. Initially when it was reported we thought it was licorice plant but he identified it as Plecostachys serpyllifolia. We do have specimens of the material from SRI and possibly SCI."